“The Voice,” as she is often described as being, is a term that’s ambiguous in nature. 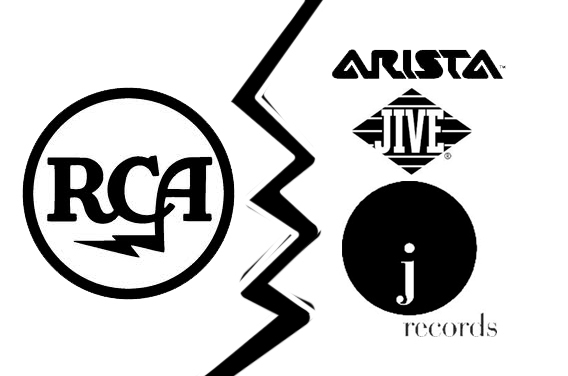 Great voices in music have been a part of the pop landscape for decades. But Whitney Houston was a rare kind of singer. She embodied the sweetness and sensitivity of the lyric like her cousin Dionne Warwick and could belt a song with the attitude and conviction of an Aretha Franklin. Houston’s voice was ultimately silenced on February 11 when her body was found motionless in her hotel room at the Beverly Hilton, upstairs from Clive Davis’ annual pre-Grammy party where she was slated to appear. At the tender age of 48, Houston was pronounced dead and was added to the ever-growing list of musical icons that have died way too soon. Recently, Houston was once again trying to pump fire back into a much-needed comeback album. She worked on the revival film of Sparkle and had just completed a few vocal tracks with producer Harvey Mason to go into the motion picture’s soundtrack. She also spoke with Davis about another comeback album and even mentioned remaking the 1977 disco classic by Brainstorm, “Lovin’ Is Really My Game,” with her hit-making producer in the Eighties, Narada Michael Walden. Unfortunately, that event never happened. 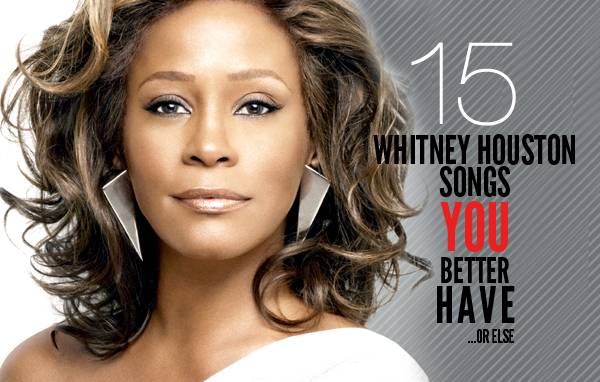 Still Whitney’s voice can still be heard through her amazing catalog of music. And with only five studio albums to her credit and three motion picture soundtracks in which she took the bulk of the running time, her repertoire still shines bright with wondrous accomplishments and performances. Here are fifteen of them that you better have…or else. This Wyclef Jean-produced gem is a different kind of update for Whitney’s latter output. Its light reggae, doo-wop glances (a la “I Only Have Eyes for You” by the Flamingos) and feelgood lyrics, surrounded by a radiant children’s choir, granted the songstress the kind of sound that kept her feeling forever young. The style of the conventional Babyface ballad could be equated to Diane Warren-meets-r&b schmaltz. But “Miracle,” strongly indented in dated MIDI-keyboard strings, is a powerful example of Babyface’s deep understanding of Houston’s ability to connect with a strong lyric. When she belts “don’t ever throw away your miracle/Don’t let it slip away, so nothing should matter,” the confidence is almost life changing. Houston tries to reconnect with the extravagance of the David Foster-arranged “I Will Always Love You” on this Mervyn Warren production, and for the most part, it works. For the most part, the Four Tops cover traces every corner and avenue of Houston’s biggest anthem, especially the predictable idea of taking the old and reinvented it with some brand-new AC protein. But Houston couldn’t do any wrong here. Even for a love song, she’s surrounded by a set of lyrics that could be interpreted as inspirational – the stuff that’s comforting to her familiar gospel roots. There’s two alternates of the song, but one stands out as most triumphant: The soundtrack version, not the single version. Whitney Houston originally admitted to not liking the song. And there’s a few good reasons why: It’s loaded with AC schmaltz and asks a burning question without giving a single answer. Still, in the hands of Houston, she causes the song to soar into the rafters, turning a mediocre-penned song into a thunderous pop hymn. Babyface and L.A. Reid, by this time – the commanders-in-chief of riveting urban R&B in the late ’80’s, were called into help push Houston back into more rhythmic territory. Many had thought Houston was a sell-out and was fancying too much with mainstream pop. With “I’m Your Baby Tonight,” Houston flirts with the New Jack Swing swagger of Bobby Brown. And at times, she’s spitting out lyrics like a cocky New York female emcee. The reinvention was more than enough to prove to cynics that Houston could cater to almost any demographic she wanted. Judging from its character, “All The Man That I Need” seems like trimmings taking off the backs of “Run to You.” But in the instance of what came first, “All the Man That I Need” was recorded a few years before The Bodyguard. Actually it was recorded before Houston grabbed a hold of it: Linda Clifford recorded it in 1981; Sister Sledge did it in 1982. But Houston’s version overtakes them both, for the mere fact that Houston delivers the gospel-fried ad-libs and is absorbed by a We Are the World backing choir. Embossed with a sultry jazz sheen, Houston’s “Saving All My Love for You” is a major contrast when compared with Marilyn McCoo’s 1978 version. It’s obvious that Houston hits the high notes without the heavy use of her falsetto. She also doesn’t lean on an influx of serendipity to pump up her festivities. What she uses in this exercise of Dionne Warwick storytelling is a large dose of note extensions and curvaceous drama. To the ear of the Eighties pop connoisseur, “I Wanna Dance” is a mediocre “How Will I Know.” According to Davis’s recollection, it was also constructed in the same manner to capture the energies of Houston’s first runaway uptempo hit. But don’t dismiss it as just being a second-place stand-in: “I Wanna Dance” stands on its own two legs as being bubbly, melodically sound and righteously epic for Houston’s high register. If this had been released in the ‘70’s, Houston may have been crowned as a disco diva. Often overlooked in the chamber of Houston’s big ballads, “All at Once” tells a heartbreaking story of a good love now at a dead end. “I’m drifting on a lonely sea/Wishing you’d come back to me,” Houston sings, as the big Barry Manilow-esque string arrangement takes off. Jeffery Osborne penned the track alongside Michael Masser, but it’s far too big for his vocal chops. Right before the fade, Houston executes a serious belt that immediately puts her in the league of greatest pop singers. Kashif was just one of the summoned producers called to help design Houston’s debut album. He had already worked up a nice resume working on acts like Evelyn “Champagne King, Melba Moore and George Benson, along with himself, when he entertained a solo career. 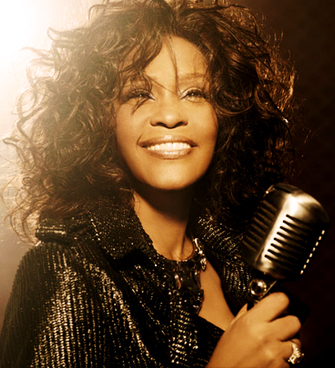 Whitney’s debut album was colored with a host of big name producers; in the eyes of the mainstream, Kashif was still considered to be one of the burgeoning producers. His work had been regulated mostly to R&B fanfare. With the LaLa-penned “You Give Good Love,” the opening track off of Whitney’s self-titled 1985 album, the same thing was expected. It also was her first single release, a choice made by Arista exec Clive Davis in order to acquaint Houston with her own constituents. To many, it was a surprise crossover hit. An unapologetically “black” record through and through, the song soared to number three pop. Linda Creed wrote the song years before Whitney grabbed a hold of it. It was a marginal hit for jazz singer/guitarist George Benson, when he showed up on the soundtrack for a Muhammad Ali bio-pic in 1977. At the time, Creed – a polished lyricist who contributed for a hefty chunk of Philly soul classics in the ‘70’s, learned she was suffering with breast cancer. It would ultimately take her life on April 10, 1986. At the same time, Houston’s version of “The Greatest” was climbing all kinds of charts – number one pop, number one AC, number three R&B, number eight in the UK. It would be the ultimate send off to one of the greatest lyricists of the late 20th century. At its peak, Houston’s voice screamed for big drama. “I Have Nothing” – a wise hodgepodge of adult contemporary and gospel – may be her finest moment in theatrical territory. Penned by David Foster and Linda Thompson, the Bodyguard classic warms up slowly, opening with trance-like keyboard repetitions. Lyrically, the song blends a cluster of Hallmark messages together. But it is Houston’s interpretation of one particular lyric that steals the show: “Don’t make me close one more door.” That moment alone is enough to scare Teddy Pendergrass and Ron Isley out of their baby-making bedrooms. Dancey uptempos aren’t the highest preference in a Whitney songbook. They usually limited her from reaching the gravitas of opulent extravagance in which her soaring pipes were primed to do. But “How Will I Know,” the infectious Narada Michael Walden tune that graced her debut album, may be the greatest exception. It flirts with the magic of ‘80’s pop candy and perfectly bubbles in all the right places with its giddy synths, rock-spiked guitars, girl group chants, and buzzy bass. Atop the classic melodies, Houston’s voice is confident – as if she’s singing from a mountaintop. Three minutes into the songcraft, Houston is matched with the glowing epiphanies of Tom Scott’s rapturous sax. All these ingredients combined help give Houston a dance of a lifetime.